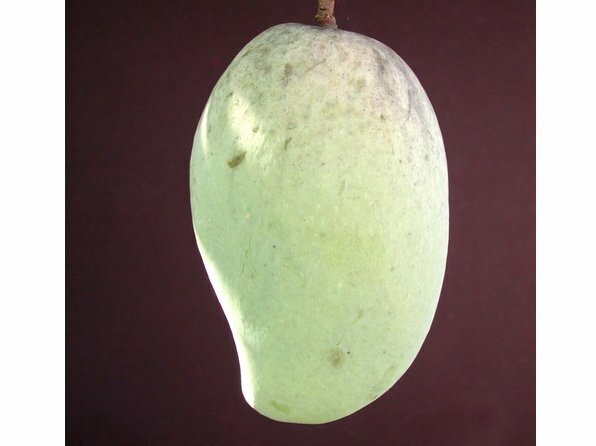 NATIVE TO SOUTHEAST ASIA, PIM SAEN MUN IS HIGHLY REGARDED FOR ITS SMOOTH TEXTURE, PLEASANT AROMA, AND SWEET FLAVOR. THE TREES ARE LARGE VIGOROUS GROWERS AND PROLIFIC PRODUCERS OF HALF POUND FRUIT THAT ARE PINK AND YELLOW WHEN RIPE. THE FRUIT IS BEST EATEN FULLY RIPE OUT OF HAND AFTER BEING CHILLED, AND THEY ARE TYPICALLY HARVESTED IN JULY.